Individually, these minor issues mean very little, I could brush them aside with comments like “oh, that’s just a small mistake, no harm done”. When brought together and treated collectively, I have gradually begun to realise that these ‘small mistakes’ could be subtle clues to the true story behind the whole series. Clues to the true identity of the main character. Short version: ‘Kratos’ is completely insane and he is not the God of War. Long Version: Kratos is not a Spartan. He is not, and has never been, the God of War. He is not even alive during the time of the Ancient Greeks or Greek Gods. Kratos, whatever his real name is, (probably something similar like ‘Craig’ or ‘Chistopher’) lives somewhere in the modern world, deep within the walls of a psychiatric hospital. 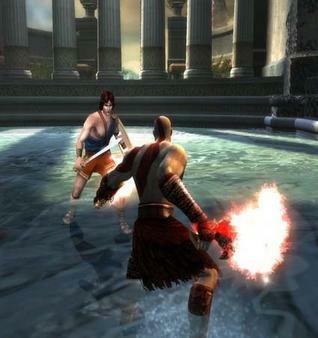 The gods, monsters, scenes and violent acts ‘Kratos’ perceives are, in fact, incredibly vivid hallucinations. At this point you might be thinking: “Red Head, you could argue that every game is imagined, a dream, or make believe.” That’s true, but in the GoW series, that’s the point. My theory is that Kratos’ insanity is a deliberate part of the game’s design, gameplay and story – I believe that the games’ creators have deliberately placed clues throughout every ‘episode’ to the truth behind the illusions. I expect that in the next few instalments of the God of War series, the real world will begin to seep into the game, cracks will begin to appear, as Kratos’ mind begins to come to terms with the fact that his adventures are all in his head. 1) ‘Kratos’ doesn’t know his own strength. I wrote a blog last week about double-jumping, in which I make fun of Kratos. I pointed out how he seems to have trouble lifting himself off the ground, despite being strong enough to boot open giant doors and stamp creatures to death. This isn’t the only irregularity concerning Kratos’ physical power. He can murder monsters a hundred times his size with brute force, but opening chests causes him to struggle and strain. 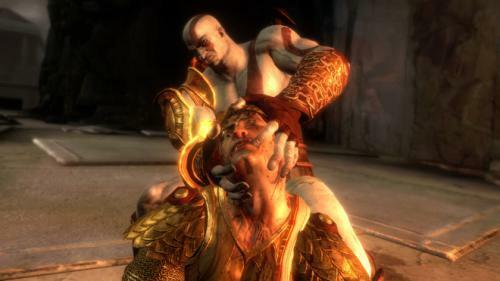 At one point in his adventures, we see Kratos forcefully prise a titan’s finger and thumb apart. But not just any titan… a titan strong enough to hold up the earth. Yet time and time again, we watch the God of War whimper and whine as he wrestles with closed gates, straining painfully to lift a few bars of metal. I used to be worried that he might have a hernia. This discrepancy could just be an oversight in game design. Just maybe though, we should have already realised that Kratos isn’t really using physical strength. Instead, his troubled mind is making up rules as it goes. Call it what you want: poetic license; a touch of creativity here and there; the writer’s own interpretation of Greek myths. There’s no denying that the GoW series has taken Greek mythology and dropped it in a blender. To me at least, it’s easy to see the events of each game for what they are – visions formed from a mind that has absorbed, enjoyed and even obsessed over Greek myths, but hasn’t fully remembered or understood all of it. The myths are so muddled, so mixed, that it must surely be a deliberate message to the audience. There is only one Minotaur in Greek mythology, and there’s only one Cerberus, yet Kratos sees them everywhere, all around him, wherever he goes. 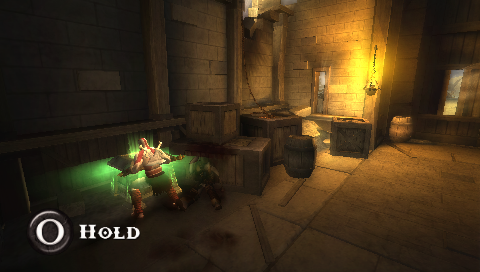 The big, flashy Pandora’s Box in God of War 1 that super-sizes Kratos is… well it’s all wrong. In design, origin and purpose. It wasn’t even a box in the myth – it was a jar. Finally, the mystery ‘patient’ himself has Kratos all wrong. 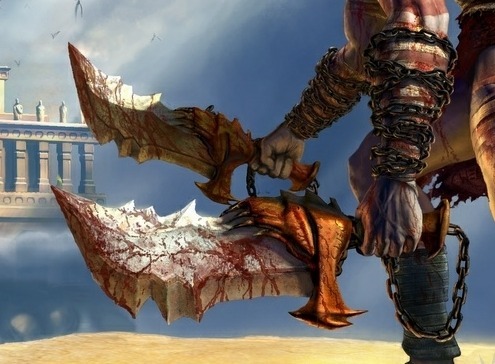 There is an actual Kratos in Greek mythology, and he’s already a God – the God of Strength and Power. 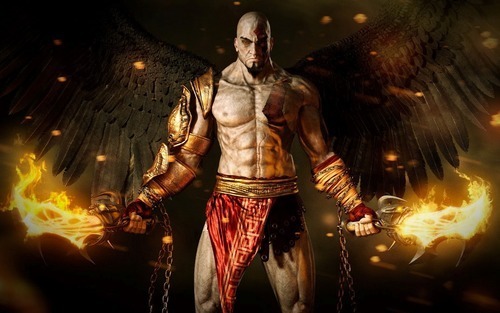 The ‘real’ Kratos also had wings… which would sort out that pesky double-jump problem. 4) It’s all a bit convenient. The only GoW game I haven’t played is Ascension. My main question when I eventually play that game would be: “Is there anyone new left for Kratos to bump into?” Sure, it’s an origin story (sort of), but we always expect to see something new. By now, the red and grey ball of rage has bounced around every corner of Ancient Greek mythology. Inaccuracies aside, the number of famous people, gods and creatures Kratos has come into contact with is remarkable. I struggle to recall anyone (or anything) that Kratos has not met, murdered or… mounted. The reason, of course is simple, it is not enough for the ‘modern day Kratos’ to fantasise about taking on Ares, Zeus and the other gods. In his mind, he is at the centre of all Greek mythology. He is the most important man in the room. He will eventually be the only man in the room, the way he’s murdering his way through the cast list. ​ When you begin to see that these games are little more than the imaginings of a tortured mind, you begin to see the signs. The ‘relationship’ he has with Zeus can be attributed to deep-seated father issues. The way every single person in the game seems to betray him or try to kill him: clear signs of abandonment. The chains that bind his arms reveal his feelings towards the asylum that holds him. I’ve played the demo for Ascension, so I know that Kratos begins his story chained up, before breaking his shackles and setting himself free. Plus, think for amount about the sheer amount of breasts in every game…on almost everything. Freud would have a field day. All of this, in my mind, paints a very clear image of who the ‘true Kratos’ is. Spot on, sir. I hope this is how the story ends.